The Varia™ Rearview Bike Radar Keeps Cyclists Safer From Getting Hit From Behind | OhGizmo! By David Ponce on 07/02/15 • Leave a comment! You’ve seen them: cyclists riding in the middle of the lane, as if they own the road. We can understand the desire to stay away from potentially dangerous curbside holes, but this practice can be dangerous when coupled with less-than-fully-attentive motorists. 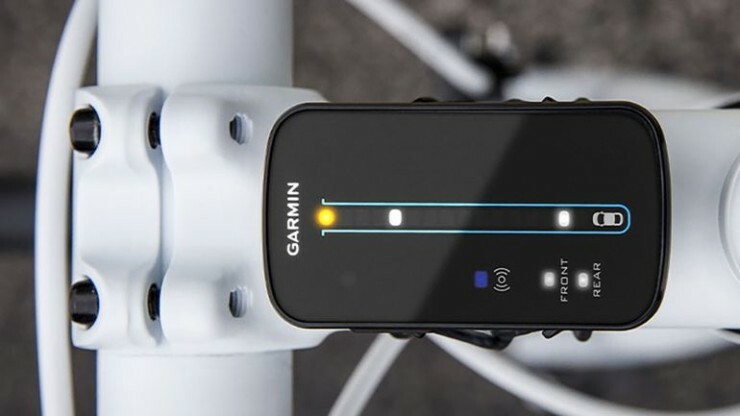 The Varia™ Rearview Bike Radar (by Garmin) alerts cyclists of an approaching vehicle as far as 150 meters away, allowing them to get a little closer to the edge of the road minimizing the chances of getting hit. The device also pairs with “compatible Edge cycling computers. The Edge computer or Varia head unit can then show multiple approaching vehicles and indicates the relative speed of approach and threat level.” It also pairs with Varia Smart Bike Lights which flash with increasing intensity as vehicles get closer, thus also alerting the drivers of the presence of a vulnerable cyclist on the road. It’s a great system for cyclist safety, although you’ll have to pay a fairly hefty price for it. It’s £159.99, or about $249USD.